The first quarter of 2014, WeChat reached 396 million users, and it is quickly approaching the 400 million. This marck brings the app closer to its direct rival, Whatsapp, which currently has about 500 million users in countries well spread all over the world. However, it seems that growth begins to slow, as the number of new users in the first quarter, although spectacular, is lower than the last quarter of 2013. This may be due to several factors, but it seems that the excess information can play an important role. On 16 May, an article in the Business Insider pointed to this reason as one of the main factors of contention in the number of new users. However, the article also highlights the fact that the number of users who consume paid content is increasing. This ranks WeChat economic policy among the most effective among the IM apps, only surpassed by Line. Both applications have a system with games, stickers and sponsored accounts that make diversify and increase dramatically their income, and this is translated into much higher benefits than other instant messaging applications with more users, as Whatsapp. Another reason that could slow the expansion of the application is its cultural character. The vast majority of its users are in China, where the application has a critical role in communications, both personal and business. In the Western world, accounts for business and personal applications are often very sharply defined and separated, but that is not the case in China. 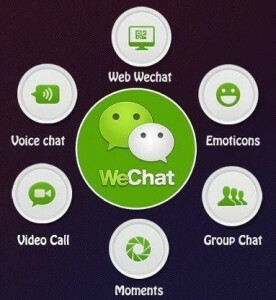 Business communications, social relations, news and novelties, curiosities, and even ads, everything happens through WeChat. One of the main recent achievements has been the addition of red envelopes, a kind of virtual gift that can be sent to all the members of a group with the amount of money that the sender choose. Lots of people acclaim the initiative and the company increases the number of bank card accounts with people that haven’t consider to pay for any service. The censorship that supports the country is probably a key factor for an application that permits to create groups of hundreds of individuals. Everyone has a WeChat account in China, and most people with a mobile participate in about 20 groups, both for business and personal groups. That can become a problem due to the amount of information that a user must deal with daily. However, although WeChat resolve the problem to limit the amount of information their users receive, the problem of international expansion still remains. WhatsApp has a very different philosophy, with a much more basic and simple environment and focused only on instant messaging. Line follows a similar line than WeChat, also offering games and stickers, and getting users to leave money in even a more efficient way than WeChat does. However, its international expansion outside Japan seems to have more success than its Chinese competitor. 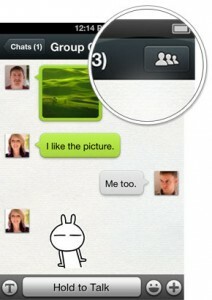 So far, WeChat has had enough with their domestic market, but it seems that the time to start looking out has come. We will see now what happens when WeChat and Line are struggling to wrest land to Whatsapp, which for now still reigns alone among the IM apps.